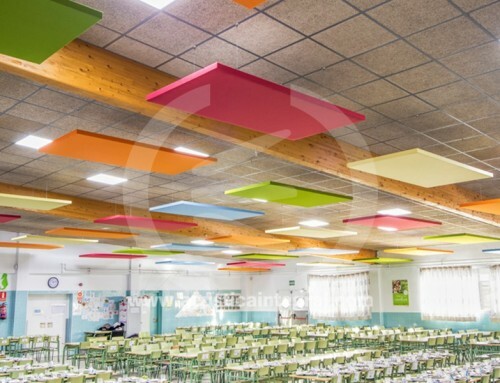 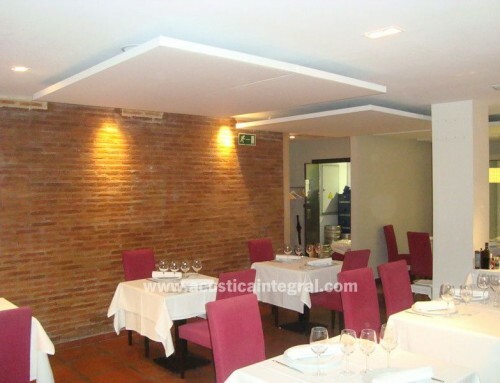 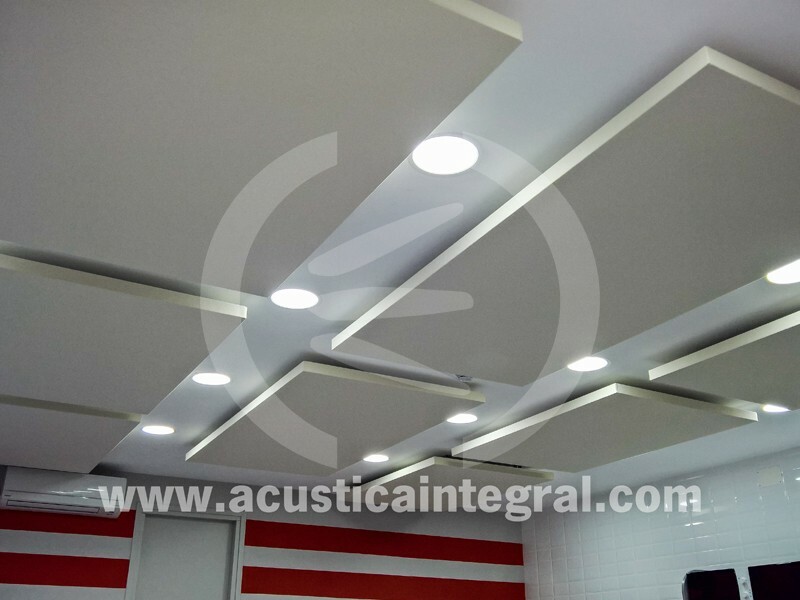 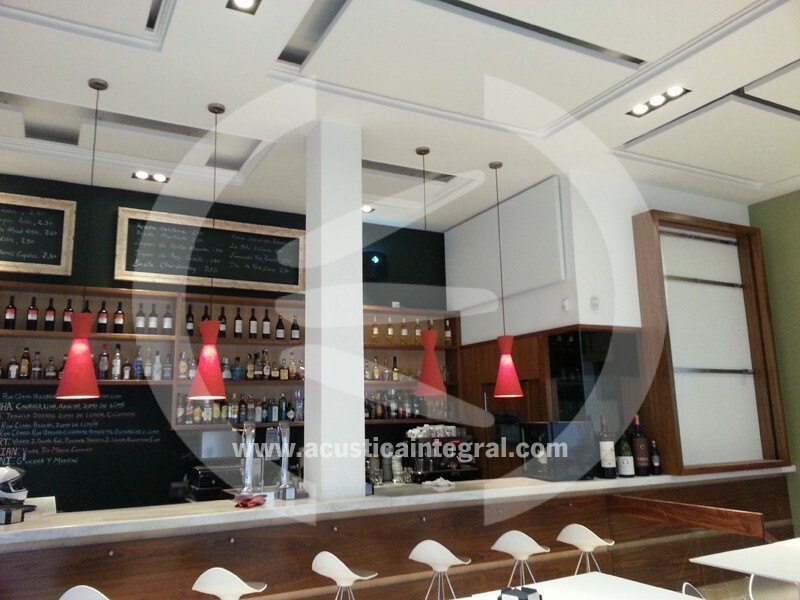 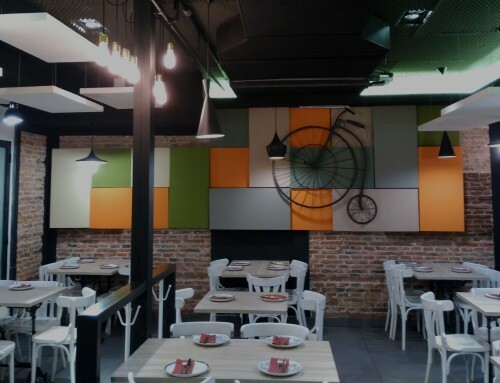 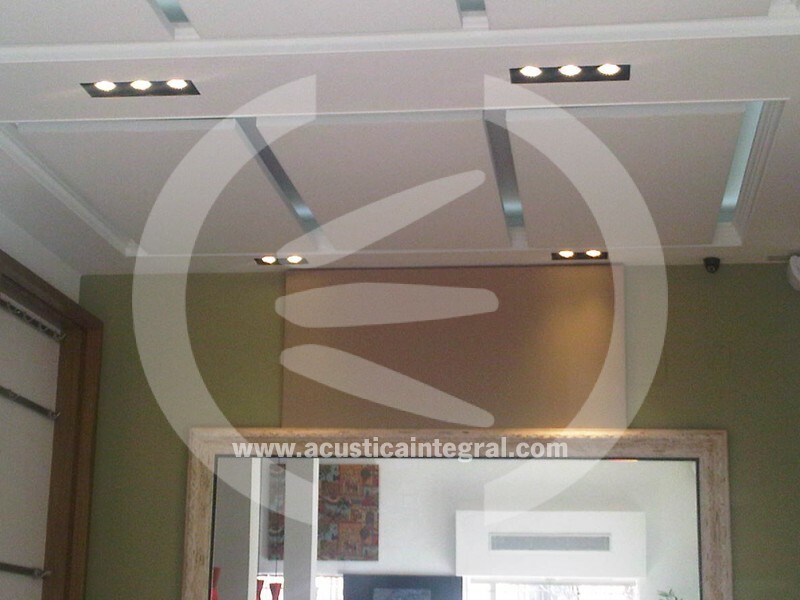 Acústica Integral has performed the acoustic conditioning of a restaurant bar that had an excess of reverberation, using Acustiart absorbent panels. 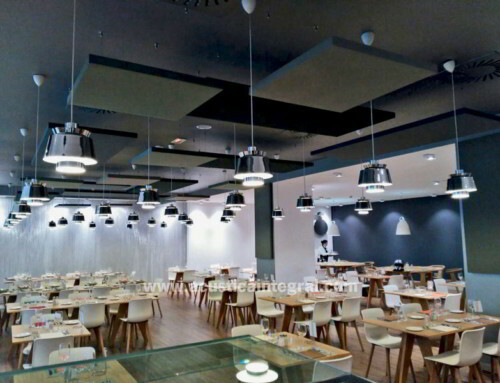 With the treatment corrector has been achieved a hearing comfort that allows to maintain with more clarity the conversations. 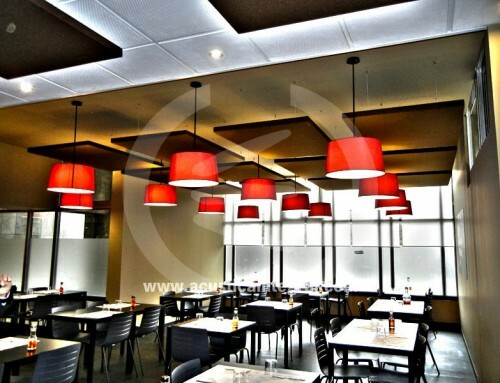 It has also been endowed with a novel and attractive aesthetic. 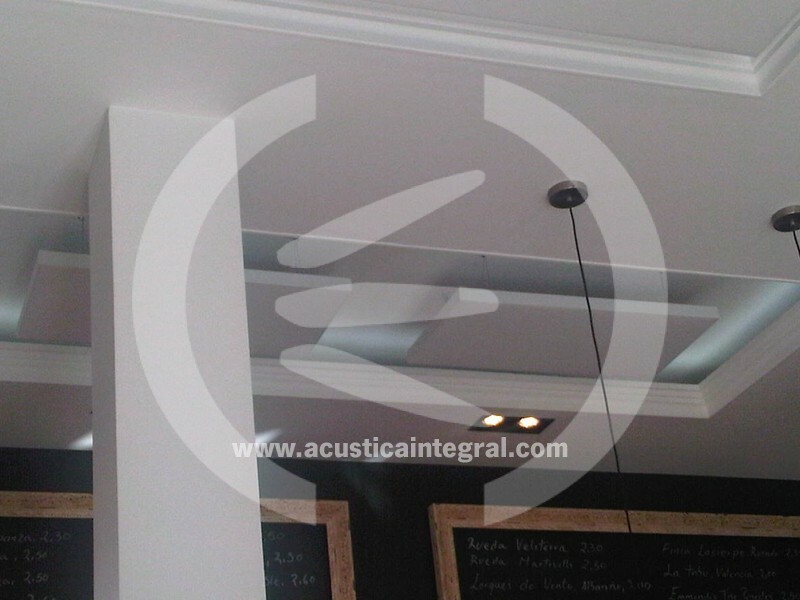 Project: Acoustic conditioning of a Bar. 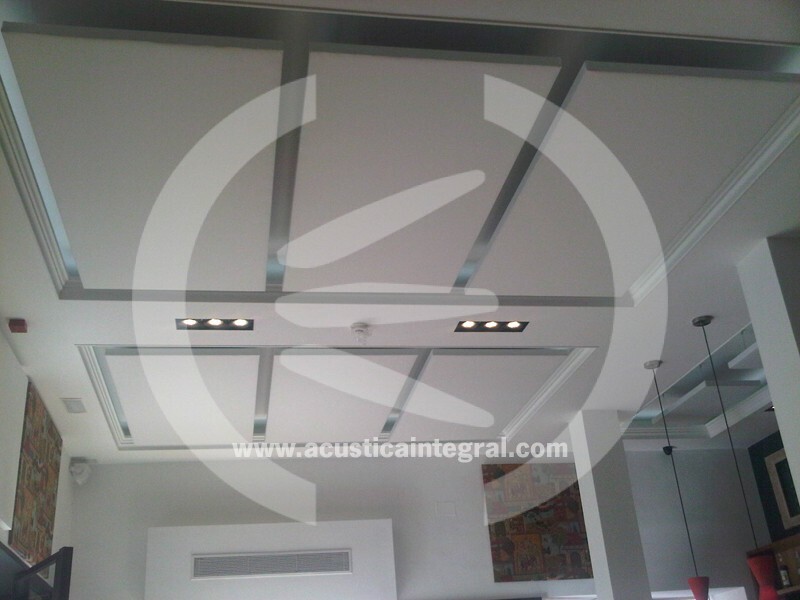 Suspension with roof support kit.